Austin Mahone: My Weekend at the Lake. My Weekend at the Lake. 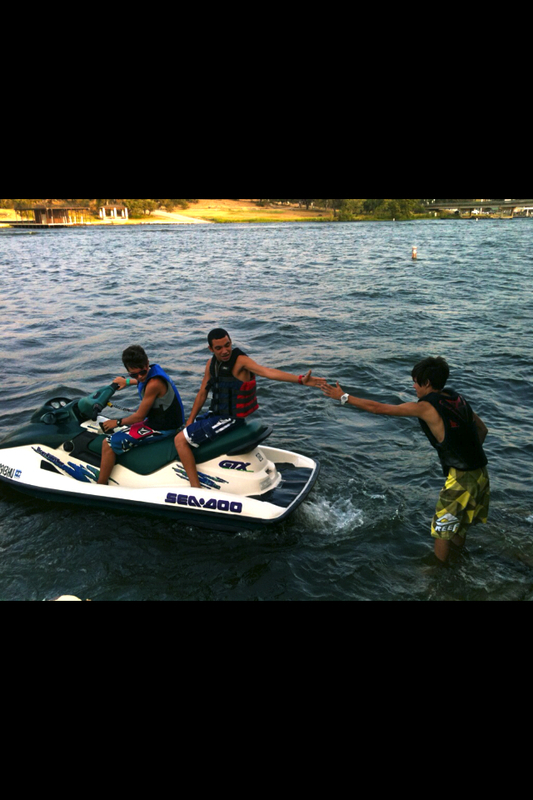 Last weekend me, Alex, and Robert all went to the lake. We did so many things! We rode the jet-ski, jumped off a bridge, jumped off roofs, hung out at the beach, and played basketball. We also tipped over the jet-ski and flew off of it, it was crazy! When we jumped off the bridge I met a fan there and she blasted my "With You" cover from her boat. What a sweet girl she is. Well on friday i had my high school football game that i went to against our rivals, and we won 42- 21. On Saturday I had cake and cupcakes and went down to my grandma's because it was one of my brothers birthdays and he turned 10. On Sunday I went down to universal in orlando, florida and rod a roller coaster that went straight up! On Monday I was off of school for labor day and went over to Islands of Adventure and rode a roller coaster called the Hulk and i was in the 2nd row because 1st row would take to long to get on. Then I went on a bunch of water rides and left to go on my way home(: I had a great weekend. -- Biggest fan right here. niiiiccceeeee. ;) ive fallen off a jetski, sooo fun!! I did absolutly nothing :'( And what is "21"? I have not heard of it before. Was riding the Jet ski fun? I just hit my head and when I hit my head I bit my toungue :'( and then I hit my elbow on my laptop. :| Yee. Lol. 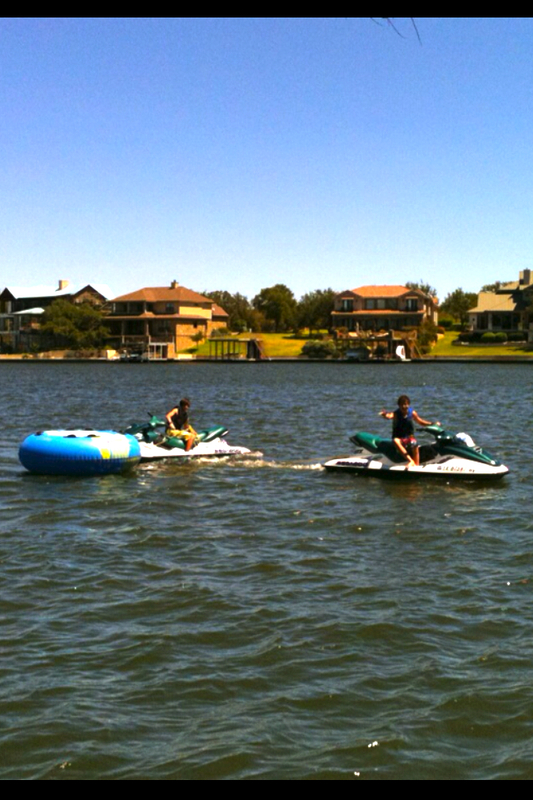 I went to my lake house and jet skied and all sorts of fun stuff! I had the craps all weekend!! I hung out wit my best friends. We went to the beach and the mall. BEST WEEKEND EVER I LOVE MY BUDS! !! Keep working hard to becoming wat u were born to be.